Lake Norman is a beautiful man-made lake situated just north of Charlotte. Created in 1963 by Duke Power, it is the largest of its kind in the Carolinas. This pristine lake has plenty of opportunities for boating, water sports, and general fun in the sun. Lake Norman stretches for 34 miles and has 520 miles of shoreline that extend through four different counties. Residents enjoy enormous real estate options and some of the best housing in the state. Lying snuggly around Lake Norman are the towns of Cornelius, Huntersville, Davidson, and Mooresville. These prosperous towns provide many amenities to residents and visitors alike. Besides recreational activities such as upscale shopping, excellent dining, and the lake itself, businesses and work opportunities abound here. Lake Norman is well situated in central North Carolina near major interstates but also maintains a quiet and comfortably paced lifestyle. The wonder of the Appalachian Mountains and the beaches of the Atlantic coast are also just a short drive away. All of the amenities of these towns coupled with the splendor of Lake Norman provide for one great place to live, work and play. For general information about Lake Norman, click here. 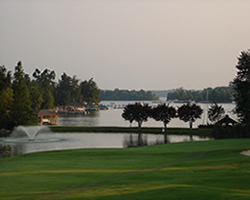 For information about recreation in Lake Norman, click here. Looking for Lake Norman homes for sale? Search our local listings database for access to listings in Lake Norman and surrounding areas. Whether you want to buy or sell Lake Norman real estate, you can browse through properties or find a wide variety of real estate resources available on this website. If you are looking for a Lake Norman REALTOR®, choose Debbie Sloan! As your Lake Norman real estate agent, Debbie Sloan can assist you with all of your home buying and selling needs. I can provide you with access to the local listings database and offer our experience and knowledge to make the home buying or selling process easier for you and your family. Contact Debbie Sloan today to get your home search started!